Jump on the reels in the forest, with its impressive graphics and nature soundtrack. The reels hang beautifully under a golden beehive, against a darkly lit forest. The gameplay is designed with medium variance but the bonus frequency is high. Play at a trustworthy online casino and transit yourself into a merry time in the fairy forest full of dancing fireflies. This online slot offers four low-value symbols; wooden card numbers A, K, Q and J. The high-paying symbols include; flowers, the queen bee and honeypots. The Honey Dollar is the highest paying symbol. Land 5 of these dollars and receive up to 30 times your stake. The wild symbol is a ‘wild’ in a frame dripping with honey. The hive is the scatter symbol. Trigger this feature whenever the chest symbol lands on the reels. During the feature, you will be allowed to pick 5 honeycombs, each with a cash prize or a set of free spins. Land 3 or more beehive scatter symbols and trigger a free game. All wilds that will appear on the reels during this feature will remain locked in place for any free spins left. Whenever a bee lands on the reels during the base game, it flies into the hive above the reels. Once the hive reaches level 5 and a bee symbol lands, the hive will explode and trigger the Swarm Mode. Activate this feature and get 10 Free Spins with extra sticky wild symbols. 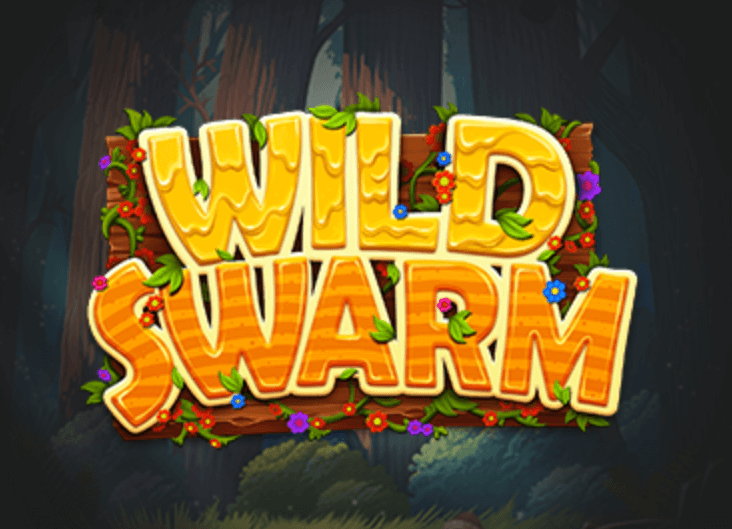 Note that in both the Swarm mode and free spins features, you can get Sticky Wild enhancements. Expanding wilds: One sticky wild symbol will expand vertically to fill the reel with sticky wild symbols. Shifting wilds:All sticky wild symbols will move one position to the left. You will defiantly have lots of fun on Wild Swarm online slot; with its special features and 97.03% RTP. The frequent bonuses ensure you remain entertained and help you to earn more winnings. Check our online casinos reviews to know where to play this and other exciting games.